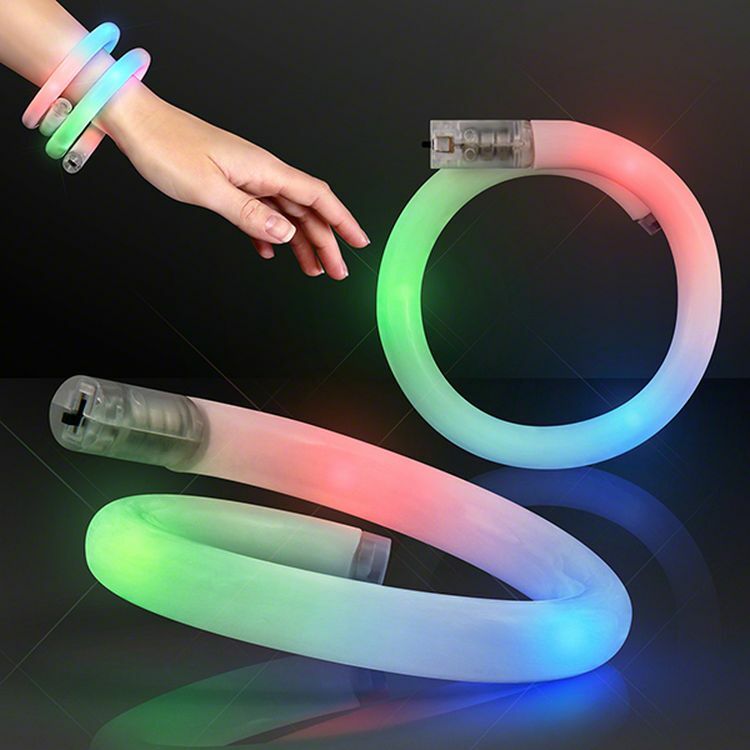 These wrap style bracelets feature flashing rainbow LEDs in a flexy tube that illuminates brightly. To activate the lights simply flip the small switch and wrap it around your wrist. This piece of jewelry is great for nightclubs, parties, wedding receptions, dances or a night out on the town. Imprint Size: 2.5" x 0.3"